I have a confession: I don’t like birds. I mean, I think they’re absolutely beautiful creatures, but for some reason, they terrify me. That said, every one of my kids has been fascinated with birds – and with good reason. They fly, they’re beautiful, and they’re covered in feathers. 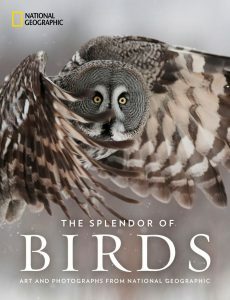 National Geographic’s The Splendor of Birds is the first of two resources on learning about birds that I had the opportunity to review (the second resource will be reviewed later this week). This volume goes through the history of art and photographs depicting birds in National Geographic. This is a visually stunning volume. In addition to the imagery in the book, there are excerpts from National Geographic covering birds. My kids enjoyed looking through the book and seeing the vast variety of birds that there are in the world. This is a great volume ot have in your homeschool library for artistic reference (for kids wanting to draw birds), biology reference, and just for kids who are curious about birds to look through. Bird, nature, and art lovers alike will treasure this sumptuous visual celebration of the colors, forms, and behaviors of the winged wonders who share our world as they have been explored, displayed, and revealed throughout the years by National Geographic. The book moves chronologically so readers witness the tremendous growth in our knowledge of birds over the last 130 years, as well as the new frontiers in technology and observation–from luminous vintage paintings and classic black and white photographs to state-of-the art high-speed and telephoto camera shots that reveal moments rarely seen and sights invisible to the human eye. The wide diversity of pictures captures beloved songbirds outside the kitchen window, theatrical courtship dance of birds of paradise, tender moments inside a tern’s nest, or the vivid flash of a hummingbird’s flight. Readers will delight in seeing iconic species from around the world through the eyes of acclaimed National Geographic wildlife photographers such as Chris Johns, Frans Lanting, Joel Sartore, and Tim Laman and reading excerpted passages from Arthur A. Allen, Roger Tory Peterson, Douglas Chadwick, Jane Goodall, and other great explorers. Exquisitely produced and expertly curated, this visual treasury displays as never before the irresistible beauty, grace, and intelligence of our feathered friends. Every household should have an up-to-date-atlas, especially if that household is a homeschooling household. 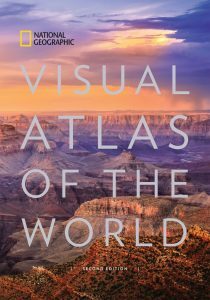 Recently, I received National Geographic’s Visual Atlas of the World to review on this blog. The book is rather large (as an atlas should be) and it comes with a slip box to help keep it looking nice. In addition to containing many maps, the atlas has sections on how to use an atlas and geographical features. The illustrations and photographs are gorgeous, of course, one expects nothing less when it comes to National Geographic. What really impressed me, however, is that the educational value of this volume goes much deeper than just looking to see where things are. My preschooler poured over the pages while I was flipping through, pointing at different landmarks and asking what they were. It’s going to be an invaluable resource, both as we learn geography and as we learn about history and current events through the years. Uniting National Geographic’s incomparable photography with state-of-the-art cartographic technology, this is the most compelling, authoritative, and up-to-the-moment visual atlas on the market. Reimagined and completely updated for the first time since 2008, National Geographic’s visual atlas of the world will delight and inspire. From spectacular space imagery to UNESCO World Heritage Sites, this stunning book showcases the diverse natural and cultural treasures of the world in glorious color. Featuring more than 200 fascinating maps, more than 350 new photos, and state-of-the-art cartography and satellite imagery, this is a must-have reference for families, travelers, students, librarians, and scholars. 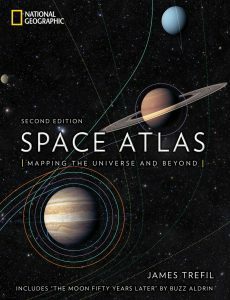 Each page was created in collaboration with the world’s premier scientists, geographers, and cartographers and is populated with the most up-to-date information available, making this book the most beautiful and authoritative visual atlas available today. I run. I hike. I love the outdoors, but I am not a gardener. Sure, there was that fluke summer, years ago, where I managed to grow a vegetable garden in my dad’s back yard, and it was successful. I think, though, that my dad may have been behind the scenes helping that garden to boom. Most of the advice I found for gardening with kids assumes that you already sort of know what you’re doing when it comes to gardening, or at least that you haven’t killed every plant you’ve attempted to grow over the last (mumble) years of adulthood. To solve this problem, I came up with a way to create a lesson plan and “course” on gardening that would benefit both myself and my kids this summer. 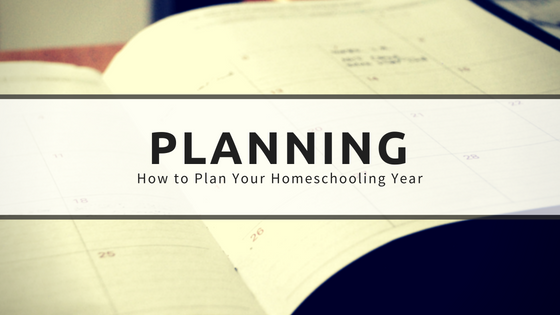 I’m really excited about it, and I decided that I would share my planning process in the guest post. I’m a classical homeschooler by nature, so I was already familiar with one of the resources from when my oldest and I tried (and failed at!) gardening when he was 8. Join me over at Minnesota Country Girl where I have the privilege of guest posting for Summer in the Outdoors: A Series of Gardening, Foraging & Nature Studies. Disclosure: This post contains affiliate links. Should you click on a link and make a purchase, I will receive a small percentage of that purchase at no additional cost to you. 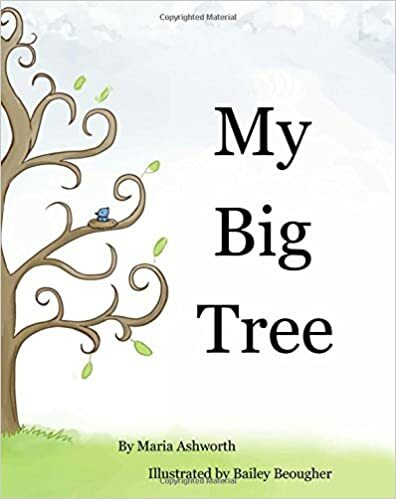 Recently, I received a copy of My Big Tree by Maria Ashworth to post an unpaid review on this blog. This book is a fun counting story featuring various animals who can be found in a tree. In addition to providing children with a charming story of a bluebird in a tree, the story allows preschoolers the opportunity to practice counting with 1-to-1 correspondence. The picture book also has an authors note that describes some of the characteristics of the animals depicted. The illustrations in this picture book are simple, but that’s not a bad thing. My four-year-old enjoyed the images as well as the story. I think it’s an important thing for using the book as a preschool math enrichment resource that the animals are all uniform. This makes it easier for children to make the 1-to-1 connections necessary for developing number sense. The illustrations are also colorful, with each of the animal species having its own vivid color distinct from the others. Collect some animal figures such as these by Safari, Ltd. and identify a squirrel, bear, owl, bat, mouse, opossum, frog, snake, bee and bird. My local zoo gift shop has a bin where you can select your animals to fill a Toob for a discounted price. Have your child match up the animal figure to the animal in the book. See if your child can recall the different animal sounds from the animals who join in the tree. Play “who said it?” Make a noise and see if your child can remember who made the noise – or try the reverse – name an animal and ask if your child remembers what sound that animal makes. What activities would you come up with to have your children do alongside reading this book? Parents, especially those who homeschool, can get really caught up in ensuring their kids are always learning. Whether this is through ensuring that every toy is “educational” and every television program consumed teaches something or it’s through carting children from one enrichment activity to another, it’s a mistake. Yes, we are, but part of teaching and guiding children includes teaching kids how to just be. College Boy spends some of his time at home laying on the bed and staring at the ceiling. Princess Boogie plays with her Ponies and flits about running in what seems to me to be pointless circles. Sometimes we all just zone out on the couch to some silly kids’ movie or TV show. Most parents Rosenfeld encounters say developing a strong character is most important. “Unfortunately, actions don’t always follow aspirations in terms of saying character is most important,” he said. When you don’t allow children to have unstructured time, they never have the opportunity to test out their character – or even really get to know who they are when they’re not playing soccer, practicing violin, and working on the next awesome robot club creation. Instead, a child may be left feeling lost when he or she can’t be constantly busy. How much downtime is enough? Video games and all other screen-related activities require a child to be fully engaged in problem-solving, competition or socializing – and sometimes all three. A primary reason why kids have trouble falling asleep is that they’re staring at screens too close to bedtime. The activity is overstimulating, rather than calming, and the light from the screen tricks the brain into staying awake, rather than preparing the child for sleep. If video games aren’t “real” downtime, then what is? For Bartell, true downtime is time spent doing not much at all – daydreaming, creative play, creating art, or even playing in the bath – for at least 20 minutes a day. Since every child’s different when it comes to what will upset her, it’s important to be watchful. An overscheduled child may be moody, or clingier than usual. She may have trouble sleeping, or experience a dip — or an increase — in her appetite. She may also lose interest in the activities she usually enjoys, or start to struggle in school. If you see any of these changes in your child, talk to her right away. Let her know that the most important thing to you is that she’s happy. Spend some time trying to figure out with her what exactly is upsetting her, and change it. 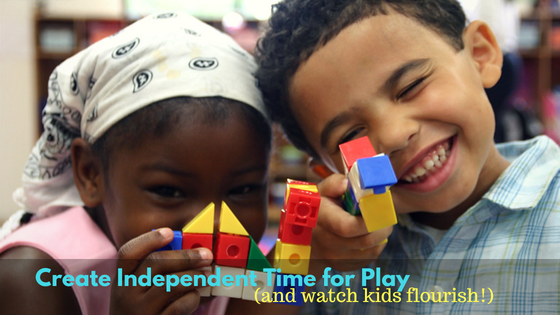 Finding balance can be as simple as being strict about the total number of activities that each child is allowed to participate in as well as watching how many hours you’re spending in “on-task” learning activities. One of the great things about homeschooling is that we are able to adapt our programs of learning to each child’s needs. This allows us to be more efficient in our time as well. That also allows us to take a much-needed day off when it’s warranted. So, how do you handle downtime in your homeschool? Do you have set hours? Do you have a cap on the number of activities you allow your child(ren) to participate in? Share your thoughts below. The Over-Scheduled Child by Alvin Rosenfeld, M. D. and Nicole Wise.